Preheat oven at 200 degrees C. Cut up meat and sausages, lightly brown in some oil/butter using a deep pan. Add onion, continue with the browning. Add tomato sauce (I also used water - about half the bottle of the tomato sauce), salt/pepper and simmer for about 30 minutes. Pour in an oven dish, add orzo and boiling water (3 cups of water for 1 cup of orzo), stir, add grated cheese and/or feta in cubes, and bake for about 30-40 minutes. 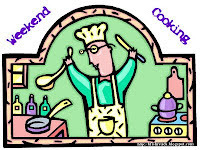 Some liquid may remain at that time but don't worry - remember that cooking will continue once you switch off the oven. I love orzo, we make it all the time as a side dish. it's so versatile, it's a favourite! How easy is this? And a great meal to feed a crowd. It's now one of my staples! orzo is so nice...but then any pasta is so nice IMHO. I love the texture of pasta cooked in the sauce. The two kinds of meats sounds like it turns this into a yummy, hearty dish. Bless you - i had such a good laugh! Your feta cheese looks so firm, not like the soggy stuff that comes wrapped in plastic at the supermarket. This sounds so easy to make! One question, do you cover the pan while baking? this was KOLIOS feta cheese cubes in brine (I say that just in case this brand is available). No, I didn't have to cover the pan - remember that when it goes in, there's a lot of liquid. By the end of the baking, it should be in a "stew" state.